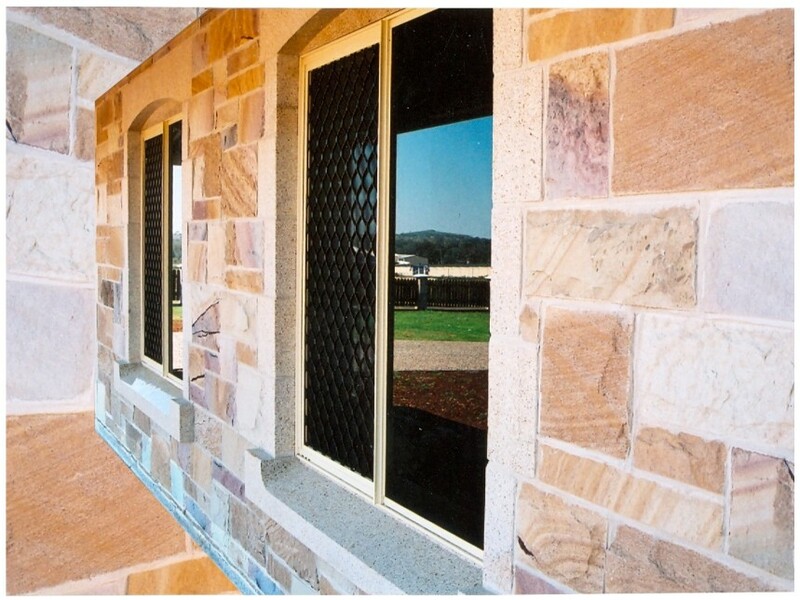 Sandstone Splitface Walling manufactured by J.H. Wagner & Sons. Splitface Walling is a quality Helidon Sandstone product combining sawn sides with a textured face. The Splitface finish is attained by guillotining the face of the stone. Splitface stone will have some concave and convex textures from the chisel action of the guillotine. All four sides are diamond sawn with the back face supplied as a guillotine finish. To further highlight the natural colour variation and figuring of Helidon Sandstone this type of walling is producted in random lengths. Specific lengths can also be manufactured to order along with stones with a sawn back side for uniform corners. Standard heights provided are 75mm, 100mm, 150mm, 200mm, 250mm, and 300mm high.